Marianne Banister serves as Co-Founder, President and CEO of the Claire Marie Foundation, but her most important title within the organization is simply as Claire’s mom. Marianne, along with her husband Rocky Wagonhurst and daughter Hillary, is passionate about saving other young lives from adolescent and young adult melanoma. 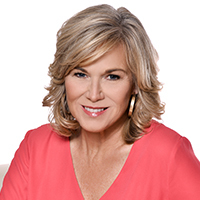 An Award-winning journalist, Marianne spent nearly 30 years as a News Anchor and Reporter in Los Angeles, Denver, Sacramento and Baltimore before establishing her media coaching firm Banister Media. Marianne is a member of the Executive Alliance of Baltimore.